Hiking in Bath Nature Preserve in Akron Ohio, I encountered a bird I’d never seen before. Though to me several species of sparrow look remarkably similar, the Henslow’s Sparrow can be identified by its combination of chestnut brown wings, intricately patterned olive-green head and back of neck, black and brown streaked back, and flat-headed, short-tailed profile. A grassland species, this bird historically bred in the tallgrass prairies. 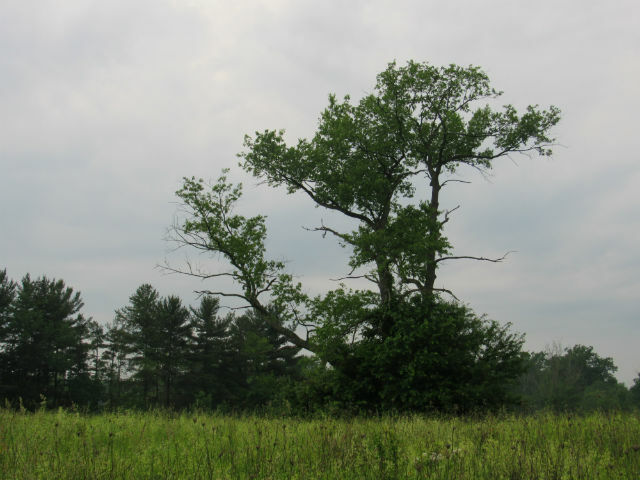 It now nests mostly in neglected grassy fields, where it dines on insects and seeds. This is a is a remarkably inconspicuous bird that very few people get a good look at. 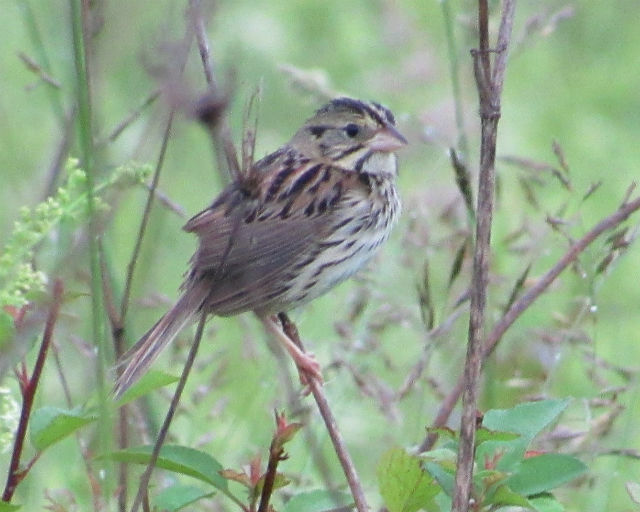 In addition, Henslow’s Sparrow populations have declined, and this species has been identified as the highest priority for grassland bird conservation in eastern and midwestern North America. 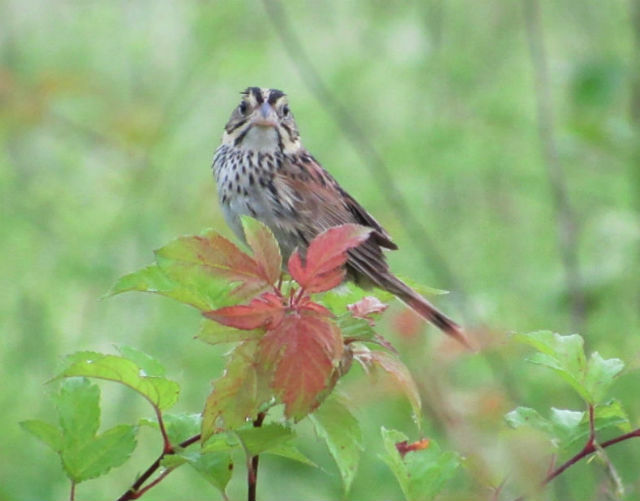 Unlike the tuneful Song Sparrow, which it closely resembles, the Henslow’s Sparrow’s dry, thin, insectlike song is often described as a “feeble hiccup.” When it sings, it sharply throws its head skyward and then utters its quiet song. Though its call is unimpressive, it was a cool experience to observe this secretive grassland bird. 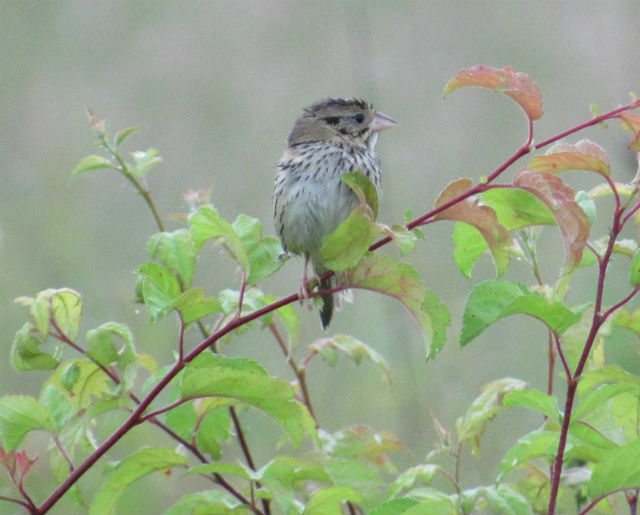 This entry was posted in Birds and tagged Henslow's Sparrow by tspuckler. Bookmark the permalink.